Southwood carries two kinds of live cut Christmas Trees: Noble Firs and Nordmann Firs. Both varieties are known for a their classic pyramid shape, soft needles and stiff branches able to hold heavy ornaments and lights. All Southwood Trees may be delivered within the immediate Tulsa area, with both curb-side and in-house delivery options available. Please contact us for details. Southwood trees start at $89.99. The Noble fir is know for its symmetrical shape and has a deep blue-green color. Its foliage is dense and its sturdy branch formation and upturned needles allow for an excellent display of lights and ornaments. Noble firs are aromatic to fill the house with holiday scent. A Nordmann Fir has a rich green foliage, soft needles, and is resistant to shedding needles as the tree dries. It's a great choice for some families where allergies or sensitivity to Christmas trees is a concern as the Nordmann has very little fragrance. 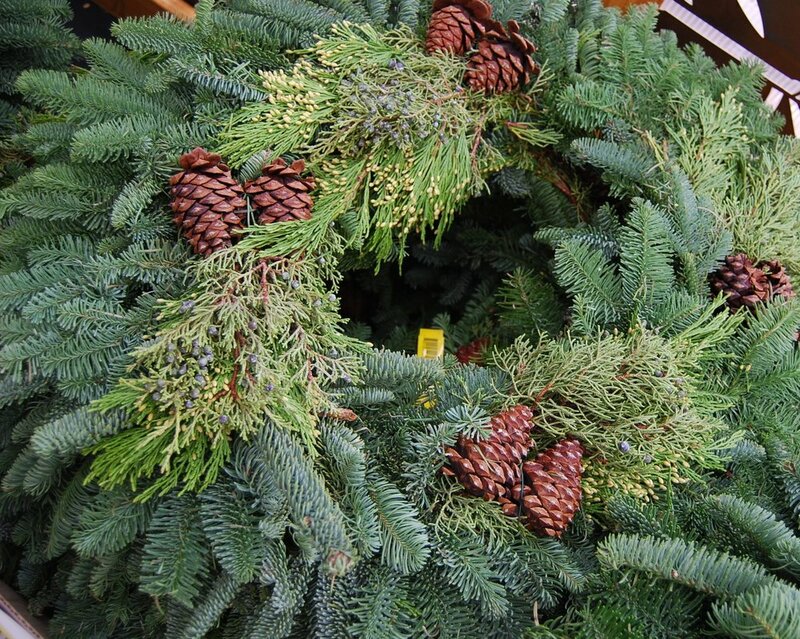 Southwood carries an extensive selection of live wreaths and garland to complete your holiday decor. Wreaths range from 16" to 56" in diameter. We also carry cedar and mixed garland (sold by the foot) as well as bundles of holiday boughs. Enjoy your tree for YEARS to come! Southwood offers a variety of living Christmas trees as well as cut trees. Living trees can only tolerate indoor conditions for a limited amount of time, so please talk to a staff member about best practices for having a living Christmas tree in your home as well as planting guides for after the holidays.